Raviraj primarily focuses on investments in enterprise IT, cloud-based services and applications and machine intelligence. Raviraj brings more than 10 years of operating and entrepreneurial experience. Prior to Lightspeed, Raviraj was the Product Lead at Fundbox, a venture backed startup that leverages deep data analytics to accelerate cash flow for small businesses, and led strategic product initiatives and partnerships. 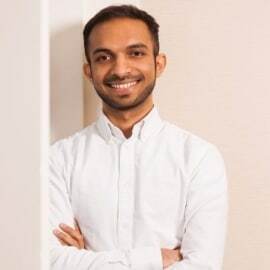 Before Fundbox, Raviraj was a product manager at LinkedIn and worked in a variety of roles spanning monetization and user growth. Early in his career, Raviraj co-founded Hellointern.com, a marketplace for internships and part-time jobs and Bookmycab.com, an app to book taxis in India. Raviraj has an MBA from Harvard Business School and a bachelors in engineering from IIT Bombay.